Welcome to "Haus Grietje", a beautiful holiday home in Pfronten (Allgäu), in Southern Germany. Pfronten is a municipality that consists of a collection of 13 villages. Haus Grietje is one of the largest holiday apartments in Pfronten. It has 2 balconies (on the East and West side) with a wonderful view of the Breitenberg (1670m.). In the distance you can see the Zugspitze (with 2962 m. the highest mountain of Germany). The Apartment occupies the top floor of a House. The apartment is suitable for 5 persons. There are three bedrooms, a bathroom, a kitchen and a spacious living room. The holiday home is located in Pfronten-Ösch, Öscherweg 16, D-87459 Pfronten, close to the Centre of Pfronten. Pfronten has an altitude of 800 meters. Holiday apartment "Haus Grietje" in Pfronten (Allgäu), is a beautiful Apartment, with all common luxury provided for your family and friends, up to 5 persons. 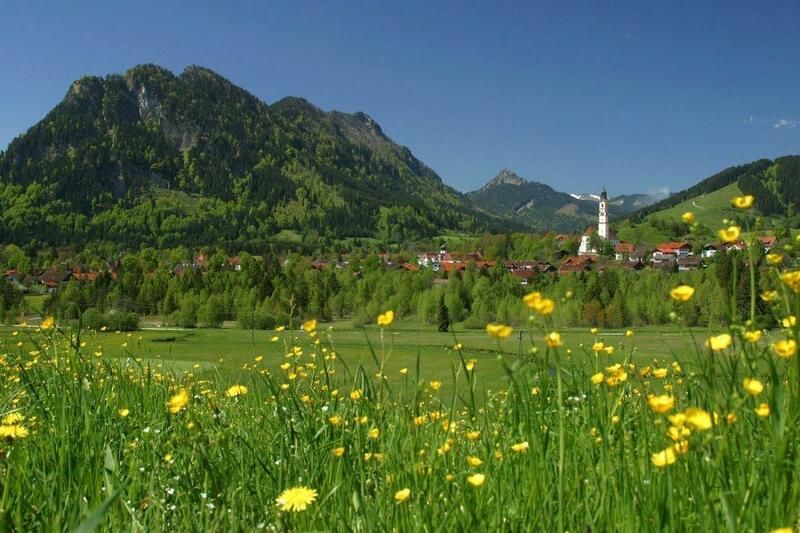 Holiday Apartment "Haus Grietje" is located in the beautiful town of Pfronten (Allgäu), in Southern Germany, a view miles from the border with Austria (Tirol). Curious about the availability of holiday apartment "Haus Grietje"? Our booking system guides you through the reservation process or you can write us an e-mail.